Flood Insurance is not the same thing as home owner’s insurance. Home owner’s insurance will cover you if your home is damaged in a storm; whereas, it will not cover you if your home is hit by a flood. Because of this, it is important for you to know whether you should buy flood insurance in case of a flood. It may seem inconsequential whether or not you have flood insurance; however, this could not be further from the truth. Floods can happen anywhere, anytime. The most common area for floods to occur is in a flood plain. A flood plain is any area where large amounts of rain can cause standing water build up and a flood. If you want to know if you live in a flood plain, you should consult FEMA’s Flood Insurance Rate Map. However, floods can occur outside of floodplains as well. Damage from floods can cost you hundreds-of-thousands of dollars and can decimate your home. Because of this, you should consult your homeowner’s agent to see if they recommend you purchasing insurance. How much does flood insurance cover and how much does it cost? 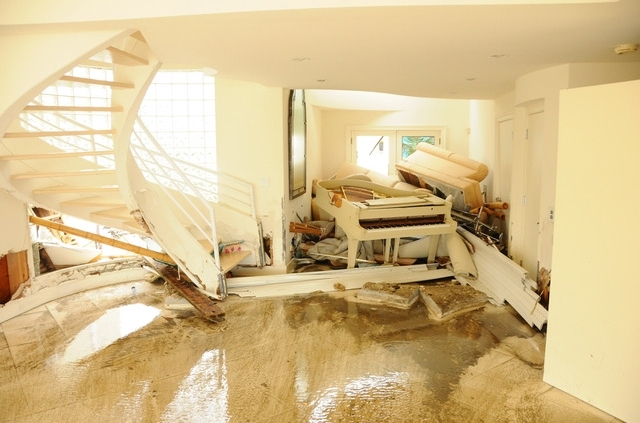 Essentially, flood insurance covers two things: your house and your personal possessions. Federal mandates only allow you to purchase up to $250,000 worth of protection on your home. This means if a flood hits, you will only be reimbursed up to $250,000 worth of your property’s value. You can also purchase up to $100,000 worth of protection on your personal items. If you wish to purchase more than $250,000 worth of protection on your home or over $100,000 for you possessions, you will need to get “excess flood insurance” through private venders. However, you can only purchase excess flood insurance after you have purchased flood insurance. Flood insurance varies in price depending on your location’s risk. If you live in a flood plain, it is likely flood insurance will be more expensive for you than if you lived somewhere else. Typically, flood insurance averages around $600 a year. If you’re curious about the exact cost of insurance in your area, consult FEMA’s Flood Insurance Rate Map. While excess flood insurance is sold by private venders, flood insurance can only be purchased through the National Flood Insurance Program. The program exists under the umbrella of FEMA, and is sold there to ensure relief in a disaster. Curious whether your damage is covered for professional repairs?